The adventures of J and K, two federal agents aka, The Men in Black, who are assigned to investigate all alien related phenomena. 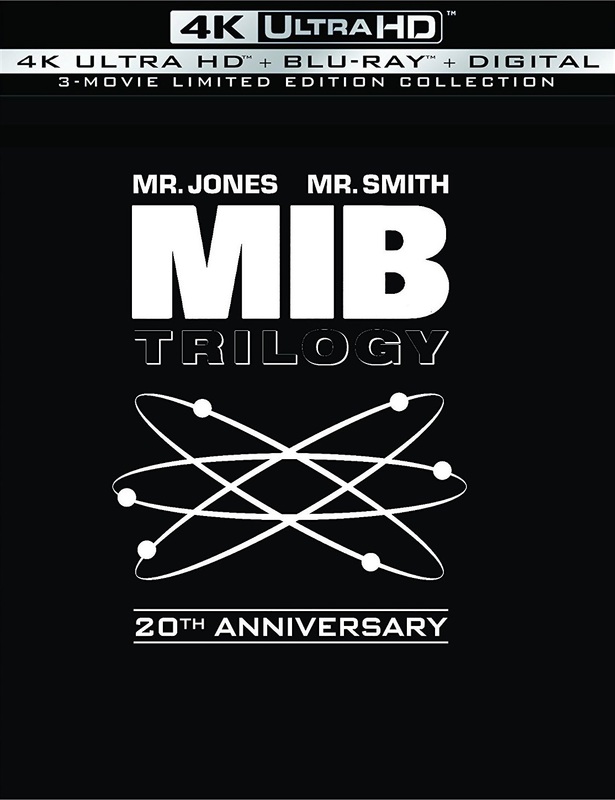 All three films in the Men in Black Trilogy are fully restored in 4K resolution from the original camera negatives. 4K Blu-ray features four times the resolution of high definition, high dynamic range (HDR)–which produces brilliant highlights, vibrant colors and greater contrast on compatible displays–and Dolby Atmos audio, remixed specifically for the home theater environment, delivering captivating sound that places and moves audio anywhere in the room, including overhead.